Greetings and salutations, this newsletter is produced for our global chemistry community, and especially for the member Chemical Societies that make up ChemPubSoc Europe. You can keep up-to-date by reading about some of the exciting events that the European chemical societies are involved in. The members of ChemPubSoc Europe and Wiley-VCH would love to take this opportunity to share some of the great things that are going on. The President of the Swiss Chemical Society (SCS) talks with Vera Köster about the changes occurring at the SCS. These include opening up to scientists working in fields adjacent to core areas of chemistry and forming closer contacts to industry. 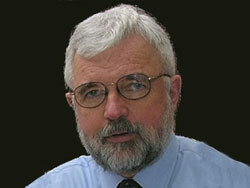 He also discusses how he sees the future of chemistry in Switzerland. Every great Chemical Society has its ambassadors and it is this motivation that has encouraged ChemPubSoc Europe to start this initiative. 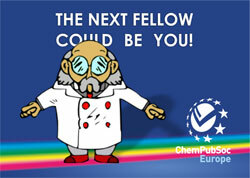 The Fellows program enables ChemPubSoc Europe to recognize and honor outstanding members of the chemistry community. To find out what it takes to be a fellow, click here. 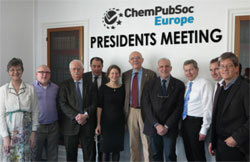 Hosted in Paris by the French Chemical Society (SCF), the meeting provided an overview of the progress of their mutual interest – ChemPubSoc Europe titles – and an opportunity to decide on the strategy to best benefit their society members and scientific publishing in general. Now not only can you enjoy using the great apps for the ChemPubSoc Europe Journals, the "Anywhere Article", a new streamlined reading format, is now live! The Anywhere Article is designed to intuitively bring more information to your fingertips and is perfectly accessible on all devices. 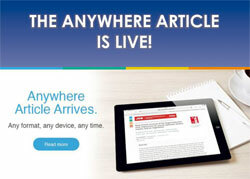 To read more on the Anywhere Article Click here. 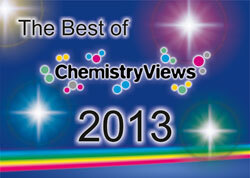 What's the most favorite content of ChemViews, the online magazine of ChemPubSoc Europe? Take a look at the most read articles and interviews and most seen videos and webinars of 2013. The selection ranges from insights into what is in your shampoo, what makes a great chemistry journal, how to succeed in the lab or what shale gas and fracking is. Do you want regular information on research and industry highlights? Register for your free ChemViews Newsletter. Finally, we would like to thank all authors, referees, society members and readers for their trust in ChemPubSoc Europe publishing. You have been sent this newsletter because you have opted in to receive it from ChemistryViews.org to #EMAILADDR#. To ensure that you continue to receive this newsletter, please add chemistryviews@wiley.com to your address book or safe list. PRIVACY: Wiley-VCH respects your privacy and only sends e-mails to registered users. COPYRIGHT: © 2014 Wiley-VCH Verlag GmbH & Co. KGaA, Weinheim, Germany. All Rights Reserved.